Clea Simon’s cozies have a bit of extra edge and sparkle to them, and have ranged from a pet psychic to a rescue cat narrator in a long career spanning several series. In this latest outing, the cats are again front and center, and this time they are witch cats. They’ve confused their owner, Becca, who is a fledgling member of a coven – one of them made a pillow appear out of thin air and Becca thinks she’s done it herself, as does the rest of her coven. The cats are a little disgusted by this but the three of them – adopted by Becca – have a mission to protect and care for her and their powers are many and varied. They range from the very real cat talent of comforting their owners to the talents of making things appear, controlling thoughts, and walking through walls, the better to track Becca undetected. Becca is troubled – she’s lost her job, she struggling to “re-create” her supposed spell, and she’s oh so unlucky in love. She has an ex, a warlock in her coven who’s putting the moves on her, and a nice housepainter she meets when one of the members of her coven is discovered (by her) with a knife in her throat. 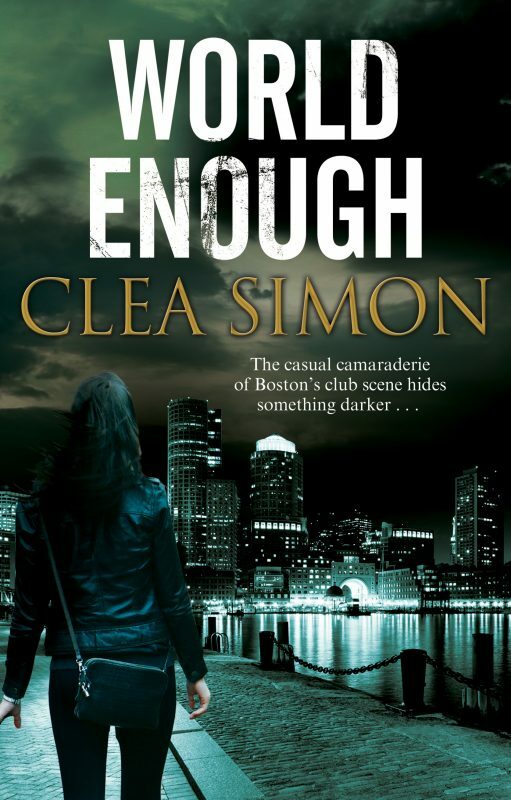 Simon’s witty way of sketching in characters and tight way with a plot serve her well, as she dishes up a charming story that’s never too scary but does have some actual menace to it. 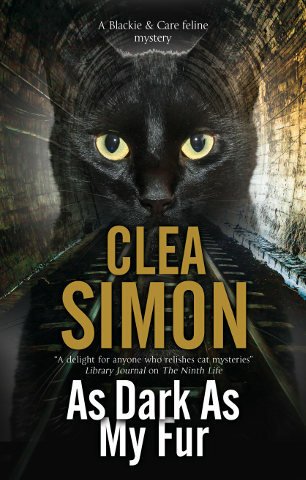 The members of the coven are especially delicious, and while they could have been written as total satire, it’s obvious Simon is actually fond of all of her characters to some degree and the affection she feels for them – and for the cats – shines through on every page of this delightful book. In general I object to a story where the animals are the narrators and yet I’m a huge fan of Spencer Quinn’s dog, and the same applies here – Beca’s cats seem to think like actual cats might. As cats are some of the more mysterious animals to share space with us humans, anything that shines a light on their behavior is more than welcome. Thanks, Ms. Simon! 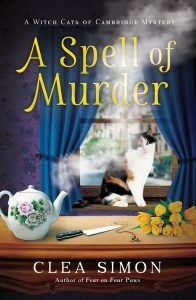 Read more about A Spell of Murder or order your copy here.